Do you own a Samsung Galaxy S4 and you are planning to upgrade your phone to Android 5.0.1 Lollipop? Are you enticed by all of the new features that this upgrade comes with? Are you worried that you device would not be able to support the said upgrade? Well, if you are having doubts about your qualification for the installation, here are some of the things that you have to know before you get the chance to use Android 5.0.1 Lollipop on your Samsung Galaxy S4. Before you get the chance to install Android 5.0.1 Lollipop on your Samsung Galaxy S4, there are certain things that you need to have, first, for the installation to be successful. 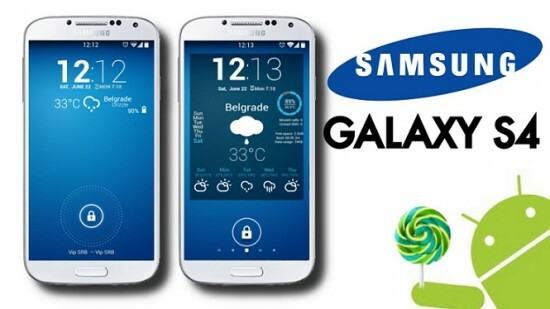 The first one that you have to do is to download Samsung drivers, as well as Galaxy S4 GT-I9500’s I9500XXUHOA7 firmware. You must also acquire the 3.09 version of Odin. Other than the things that you have to download, you also need to have your device fully charged or have it charged for at least 80%. To avoid data loss, get back up for your data. Finally, go to your Settings, then to your Developer Options for USB Debugging to be activated. First is to have the firmware file unzipped on your PC or laptop and open Odin. Then, press the Power, Volume Down and Home buttons all at the same time to have your device rebooted. After that, link your PC or laptop to your Galaxy S4 device with the use of a USB cable. Then, wait until Odin recognizes the device you have connected to it. Be certain that checked-in to Odin are F. Reset and Auto-Reboot only and that you did not a check mark on Re-Partition. Select the AP button and search for the file named tar.md5 in the firmware that you unzipped when you followed the first step. After that, click Start and wait for the process to end. When the process is over, you will see the PASS notification in green, which indicates the success over the installation. Restart your device and enjoy using Android 5.0.1 Lollipop. So, do you still have installation problems in mind? By following the instructions and by having all of the requirements mentioned above, you should already be on your way to successfully get that Android 5.0.1 Lollipop upgrade that you have been desiring to get into your Galaxy S4 device.